Josh Ritter has come a long way from the coffeehouses in Oberlin, where he got his start twenty years ago. Those intervening years has seen Josh grow into one of the most significant songwriters of the modern era, thanks to albums such as The Animal Years, The Historical Conquests Of Josh Ritter, The Beast In Our Tracks, and 2015’s astounding Sermon On The Rocks. 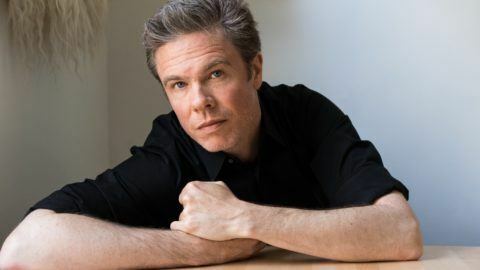 Over the course of nine studio albums, two standalone EPs, a healthy handful of singles and live sets, and one monumental album collaboration with Bob Weir, one thing has been made abundantly clear – Josh Ritter can do no wrong. That sounds like a bold statement, that sort of hyperbole that I am so often accused of tossing out, but it’s true. The man has never released a bad album in his career, not even a bad song. When he puts pen to paper, whether he is writing in character or not, there is a certain charm that comes out that is impossible not to like. Having met the man in person, I can attest that this charm is no put-on either. Josh Ritter is a genuinely good soul and that comes through in his music, and it is always a pleasure to listen to him sing. Anyone who has ever seen Josh perform knows the joy that radiates from him on stage. In a world short on positivity, Josh Ritter’s got ya covered. 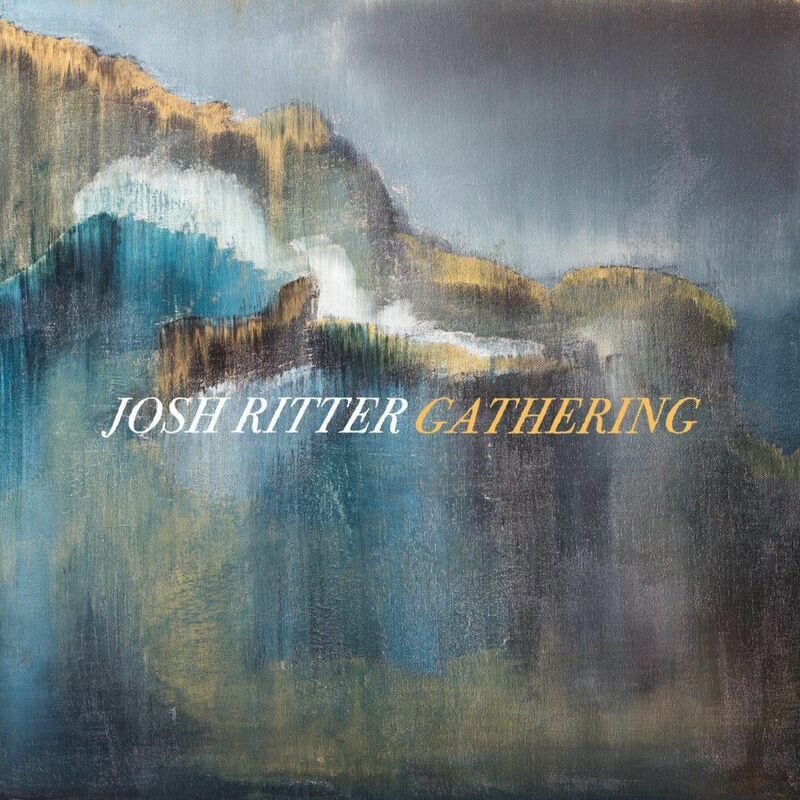 Gathering is Ritter’s ninth studio album – the first release of his 40’s – and it finds the artist careening into middle age with a massive exclamation point. Kicking off with the haunting, a cappella “Shaker Love Song (Leah)”, the mood is set for the upbeat groove of “Showboat”, a number that has a classic Glen Campbell feel to it, but with a modern twist. Like “Rhinestone Cowboy”, this song is sung from the perspective of someone who is a bit of a sham. Mexicali horns in the middle are a nice touch. “Friendamine” is a super upbeat number, somewhat jittery. I don’t recommend listening to this if you have had more than three cups of coffee – you might blast off. That chipper-ness continues with “Feels Like Lightning”, which is somewhat reminiscent of early Paul Simon, if perhaps Simon was a rancher. When Ritter was writing the songs with Bob Weir for Blue Mountain, the theme they were going for was “modern cowboy songs”. That is a style that has most definitely carried over into this new album. Not quite “country”, not quite “western”, these are nonetheless songs that evoke a vast, dusty expanse. That collaboration with Bob Weir carries over to “When Will I Be Changed”, which the two perform as a duet. This slow, ethereal masterpiece is the sound of a man slowly riding into the sunset, determined to come back stronger. When Weir comes in on the second verse, there is no way the hair on your arms won’t stand on end. Even though it’s Bob that he is working with, you can clearly hear the ghost of Jerry Garcia weaved within the fabric of this song, a beautiful descendent of “Black Muddy River”, that sort of perfect song that the Dead would so often encore with. I most certainly would like to hear them work together more. The mellow mood of this album continues with “Train Go By”, which reminds me a lot of “Million Reasons” by Lady Gaga (incidentally, a song that Bob Weir has been covering lately, and fantastically at that). A close listen to this song – and this just might be my imagination hard at work – this kind of feels almost like a response to that song, as if they each represent two sides of the same conversation. I might be way off base but this is the story that I am sticking to. The album soon takes a swift turn down a dark, dirty road with “Dreams”, a spiritual successor to “Birds Of The Meadow” and “Rattling Locks”. One of the most intense and unsettling songs I’ve ever heard from Ritter, this haunting number is going to be epic on stage. The slow, gentle “Myrna Loy” brings the album back to the ground a bit. The darkness of the previous song carries over, but the thing is – even when Josh gets dark and moody, he is still comforting. There’s just something about him as a writer and as a singer. Moving on, “Interlude” is just that – a minute and a half of beautiful brass playing a piece that is in the style of late 19th century salon music. This allows for a breath or two before the peppy “Cry Softly”, one of the most cowboy of the cowboy songs on here. I can very easily hear Waylon singing this. Likewise, “Oh Lord, Pt. 3” finds Ritter with a bit of a drawl on a song that evokes Johnny Cash, or at least a revved-up Tennessee Two, and is replete with some wicked lap steel soloing. “Thunderbolt’s Goodnight” calls to mind Josh’s earlier work, with its gentle fingerpicking and folk melodies, and that subtle storm that often bubbles underneath some of his more recent acoustic songs. This bliss gives way to the album’s closer, the slow burn of “Strangers”, a song that has a bit of a “Happy Trails” feel to it. While I would not personally end an album with two slow songs in a row, this works – a brilliant farewell to one of Josh Ritter’s most unique albums. I’m not sure if these songs were written at the same time as Blue Mountain or if this album was written as a reaction to it, but this material really suits Ritter. A step aside from what he has done in the past, this is a genre excursion that works. The reason why it works is because, as with everything else he does, it’s not jive. Josh Ritter goes country and still sounds like Josh Ritter. That is the mark of a true artist. « A Day In the Life of a Dealer….Art That Is!